Feeling tired, stressed and out of control? Are you overwhelmed and suffering from low self-confidence? In Chaos to Calm, expert life coaches Shannah Kennedy and Lyndall Mitchell offer you a simple step-by-step approach to taking charge and living a more fulfilling life. 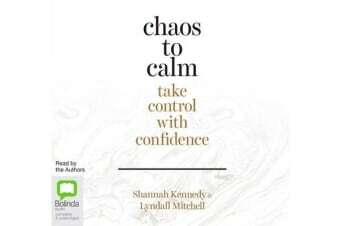 Packed with advice, tools and exercises that will show you how to switch off, reach your potential and achieve your goals, this audiobook will enable you to thrive and live each day with confidence!